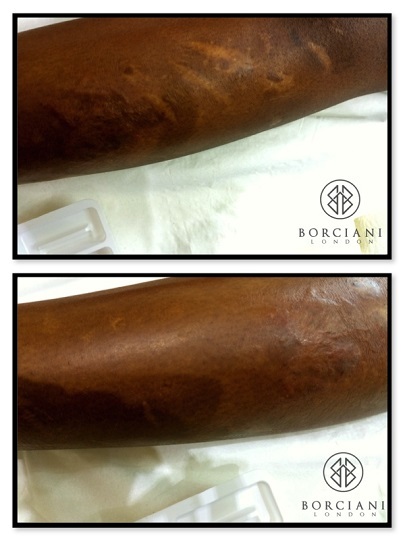 Scarring is a natural part of the healing process after the skin is injured and it’s appearance will vary depending on the size, depth, location and cause of the harm. 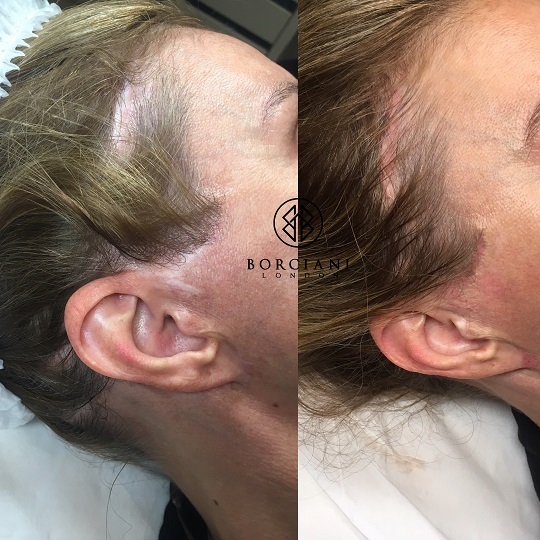 Our scar camouflage treatment will last around 2 years before a maintenance session is required, but the smoothing results of scar softening are permanent. We use multiple techniques to soften the texture of scars and camouflage them using permanent makeup. 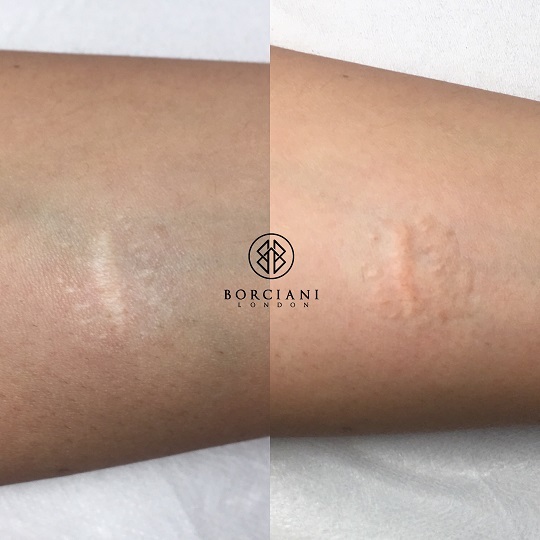 As you know, scar tissue is unpredictable and we would work with you on a treatment plan to ensure the best results possible through Collagen Induction Therapy (Micro-needling/scar softening) and custom blended permanent camouflage. 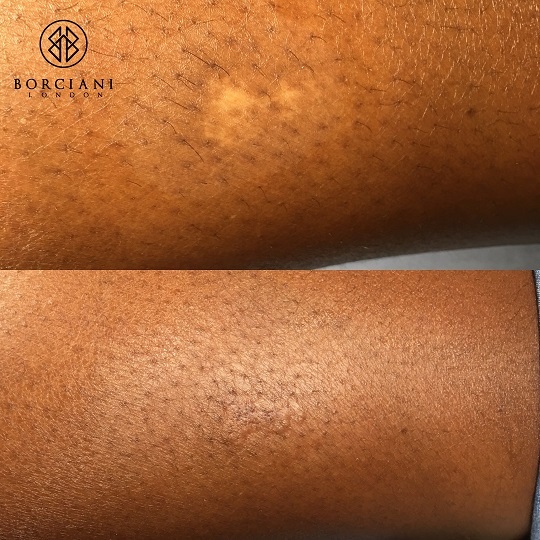 We will test a small area of the scar with a custom blend of colours and allow this to heal for 30 days so that we can assess the final results and ensure that the colour match is accurate and the results are in line with your expectations. We will make any adjustments necessary and then treat the remainder of the scar, blending the tissue with the surrounding skin. Procedure times vary depending on the size of the area to be treated. There should be minimum discomfort. Clients describe this as 2 out of 10.